Whether you love to relax by the pool, sunbathe on the beach or simply need a rug for the kitchen that is easy to clean, our rugs will fit the bill perfectly. 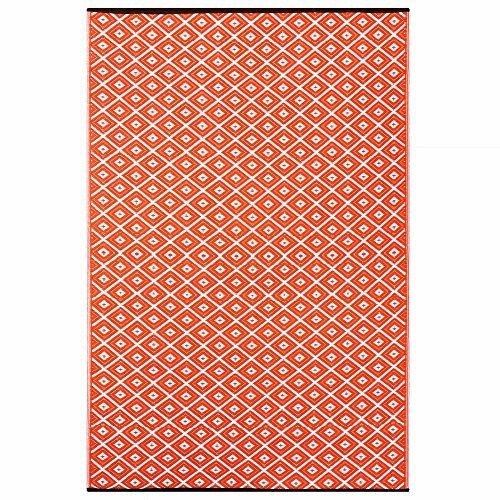 Made from recycled plastic straws, these rugs are water-resistant so you can use them indoors and outside. They are so versatile! they are lightweight and easy to carry , making them perfect for picnics; and sun worshipers needn't worry as they are UV protected so they won't fade in the sun. If they are sandy from the beach, or covered in dirty footprints in a hallway, these rugs are so much easier to clean than conventional rugs, simply shake off or wipe them and they're as good as new. Comfortable to relax on, yet tough enough for high traffic areas of the home, there are so many uses for a Green Decore rug. Available in a range of sizes and designs to suit all tastes. Reversible: Yes. Colors replace each other to give another beautiful look. If you have any questions about this product by Green Decore, contact us by completing and submitting the form below. If you are looking for a specif part number, please include it with your message.